Presentation of a bat species from South America. Prey, attack strategy. 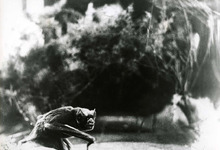 Evocation of Murnau's mythical Nosferatu.